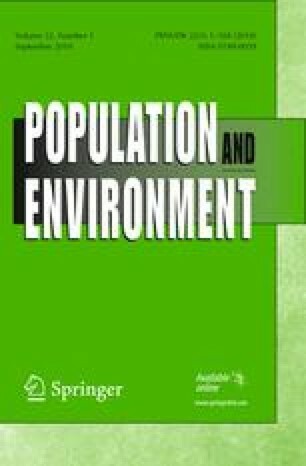 This study tests theoretical arguments about gender differences in scientific knowledge and environmental concern using 8 years of Gallup data on climate change knowledge and concern in the US general public. Contrary to expectations from scientific literacy research, women convey greater assessed scientific knowledge of climate change than do men. Consistent with much existing sociology of science research, women underestimate their climate change knowledge more than do men. Also, women express slightly greater concern about climate change than do men, and this gender divide is not accounted for by differences in key values and beliefs or in the social roles that men and women differentially perform in society. Modest yet enduring gender differences on climate change knowledge and concern within the US general public suggest several avenues for future research, which are explored in the conclusion. Thanks are extended to Riley E. Dunlap and the Gallup Organization for making the data available for analysis. The author also thanks Chenyang Xiao for his helpful advice. The author is grateful to the reviewers for their productive feedback. Jones, J. M. (2008). Polluted drinking water was No. 1 concern before AP report: Global warming way down the list. Princeton, NJ: Gallup Organization. Retrieved May 15, 2009 (http://www.gallup.com/poll/104932/Polluted-Drinking-Water-No-Concern-Before-Report.aspx).